Opel's lineup will grow this year with the addition of the Karl minicar. FRANKFURT (Reuters) -- Deliveries of Opel and it UK sister brand, Vauxhall, rose 3 percent in Europe last year to 1.08 million cars, the automaker said Wednesday. The General Motors brands' combined market share in the region rose by 0.1 percentage points to 5.74 percent, the highest level since 2011, the company said. Opel/Vauxhall has targeted a market share of 8 percent in Europe by 2022. In early 2013 GM underlined its commitment to supporting a European turnaround at Opel/Vauxhall by pledging 4 billion euros in investments to fund 23 new cars and 13 new engines. GM wants to reach break-even in Europe by mid-decade. It will withdraw its Chevrolet brand in Europe by the end of this year in an attempt to help the Opel and Vauxhall brands gain market share. 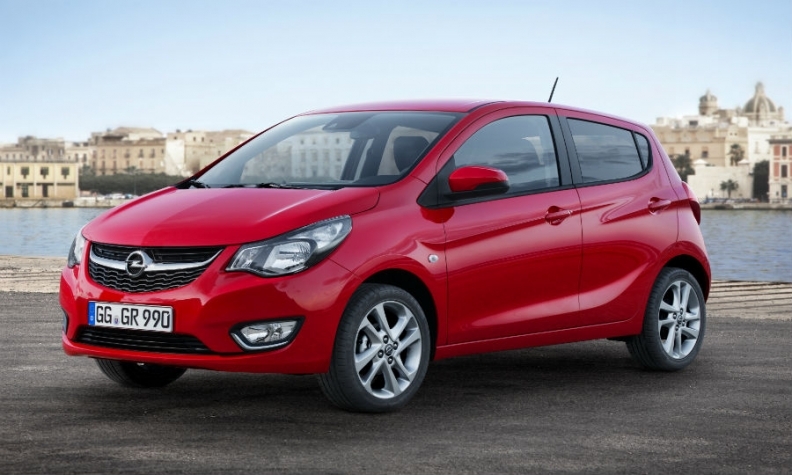 Opel will continue its model offensive this year with a new version of the Corsa subcompact, the automaker’s best-selling model, which arrives at dealers later this month. The new entry-level Karl minicar (which will be sold as the Viva in Britain) will follow in the summer, with a new Astra compact arriving at the end of the year.